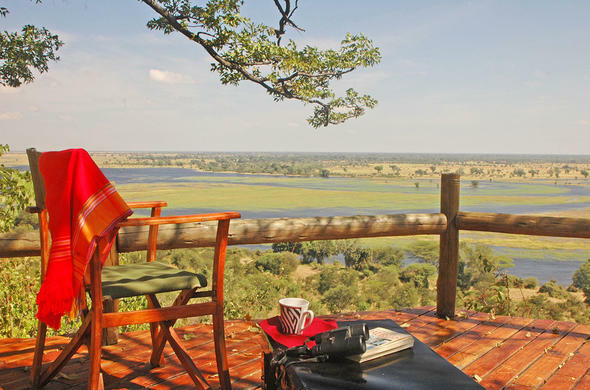 The variety among these Chobe safari lodges and resorts ensures that there is something for every need and taste. Most lodges are either on the edge of Chobe river, or close to it, so you can look forward to some excellent game viewing along the river. Accommodation styles range from premier luxury to comfortably decent. Without a doubt the hospitality everywhere is wonderful and the dining is always good, if not outstanding. Due to the fact that the majority of these establishments are in the wilderness - not all are suitable to travel to with small children. Please read any Child Policy which may apply at a lodge. Linyanti is renowned for its large concentrations of elephants and of other wildlife, at the start of the dry season until the arrival of the first rains, when they disperse into the vast wilderness. Sable, Roan Antelope, Lion, Leopard and rare Wild Dogs of Linyanti are among the abundant wildlife.